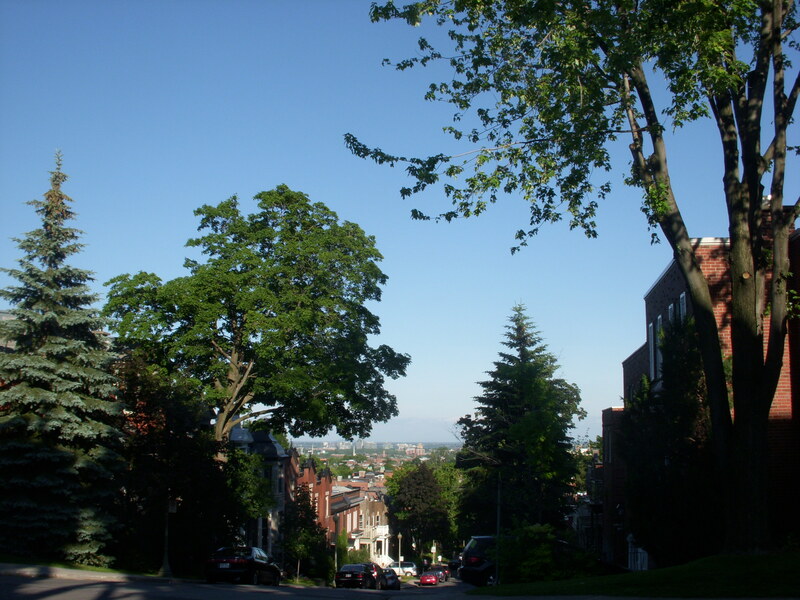 Day three happened to fall on St.Jean Baptiste day which is a provincial holiday in Quebec. Illias(sp) from New York via Mexico, suggest that we all bring our lunches and have a picnic on the lawn of Dawson college as most stores would be closed. 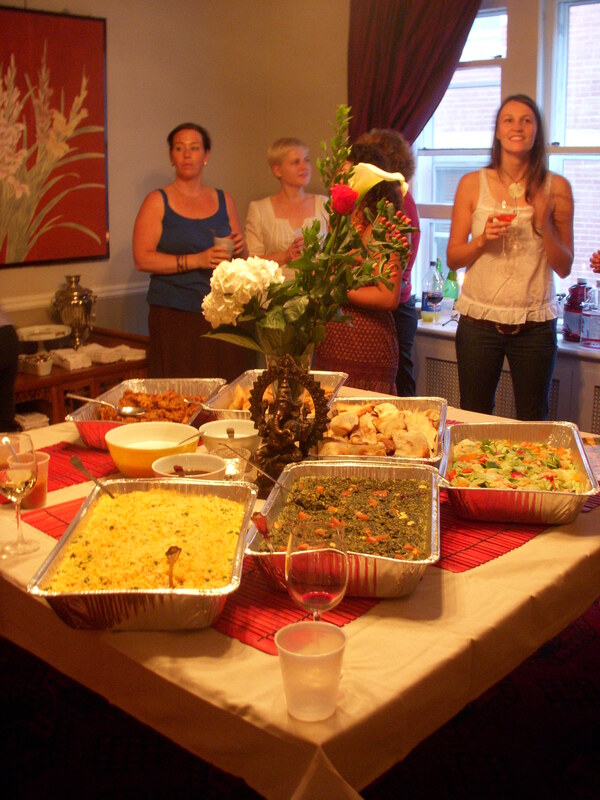 Well, what I thought would be just a little sharing turned into the most gorgeous array of food and abundance I have ever seen come together in a short time. We found a group of picnic tables to set up food on and then laid our blankets, mats and shawls around the lawn. We laughed, talked, shared and even played Frisbee. We really were a merry band. Day three also fell on Gurumayi Chidvilasanada’s birthday. John spent the morning in a really playful and celebratory mood and the Guru principle led our practice through the morning. He said that the Guru is really a tattva- a principle of existence even though it is not on the chart. It is the revelatory power of spirit that is found in every one of us. The teacher’s dharma is to show the student the teacher within them; the students grace (chali-kripa) allows the teacher to take the seat of the teacher. In the practice of sadhana ( spiritual practice), we awaken in relationship. We learn to see the Absolute in others and others show us the Absolute in ourselves. This revelatory power is found in every one of us, even if we don’t believe it. John told a great story about being very down and after just a short visit from Gurumayi he was completely changed. Those with a high vibration of light can lift the dark from us. We can also learn to do this ourselves. Tantra is a science- it is alchemy- it is the process of turning the impure into gold. We learn to turn negative situations and emotions into positive ones- it is not just a simplistic changing of your mind but it is through skillful means and practice. 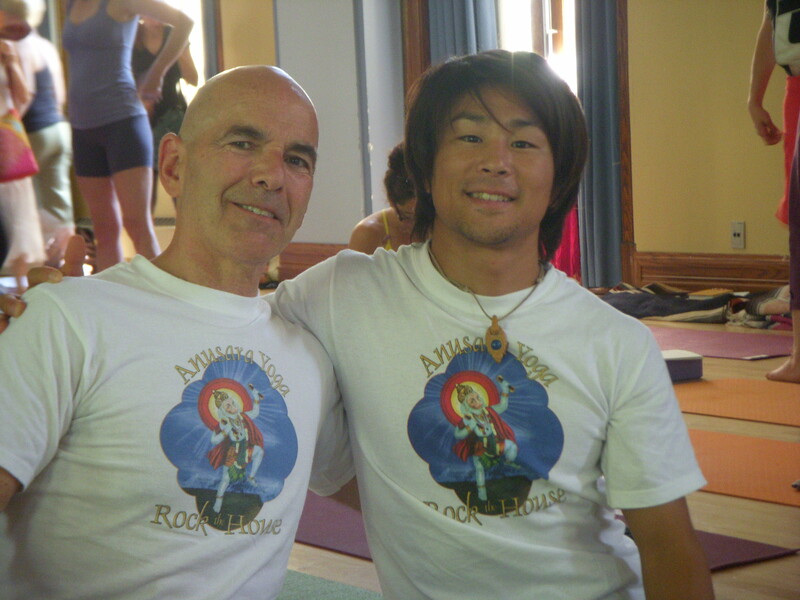 When you are going up into backbend number 12 with John, I know he is not joking, and no matter how my body responds, my heart sings with the possibility that this next one might be the big one that changes and illumines everything. Every moment- especially the intense ones- is a gateway. It is a chance to do alchemy. In the afternoon we went back to basics: what is our vision? How is Anusara yoga different than other hatha yoga systems? 1) We see everything as a manifestation of Spanda. Tantra can literally mean the “loom” on which we weave- it is a philosophy that sees the world as an interconnected tapestry. Nothing is separate- nothing is discarded- it is merely woven back into the new fabric of understanding. We assimilate what has gone before- we do not forget the past- it is useful as a reference for that we chose to emphasise or not emphasise. We serve the present in life enhancing ways and we plan for the future so whatever we do now counts. 2) We use technology, a methodology that aligns with nature that we call the Universal Principles of Alignment. 3) We work in community. We bring everybody up- we are all members of the same orchastra. We celebrate each others success and we have great picnics together. We ended the afternoon lecture with a very deep question: If the world is supposedly intrinsically good, why do evil things happen? I think that may be a blog unto itself after I do I little more reading that John has suggested. The afternoon practice finished with giddy laughter trying to think of how many ways we could theme iccha, jnana, kriya and we ended up tying the whole Wizard of Oz to every possible notion. I had the tin man iccha- heart, the scarecrow as Jnana- mind and therefore the Lion as kriya – courage, but John started going on about Oz being the manifested word in all it’s colours and the downward shape of the tornado being in the shape of shakti’s downward pointing triangle and it just got really funny and silly. Ami beside said “Ok- let’s do Starwars now…..” . At least I have lots of themeing ideas for the next little while! Well, the next time I will see John will be Vancouver in August 2009 and though I will be busy during the event as a volunteer, I hope to blog that training as well. 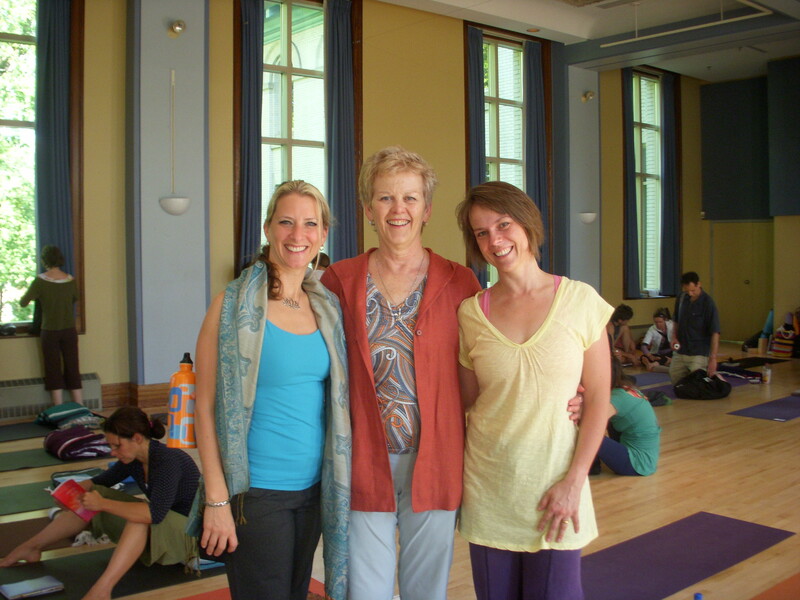 This three day intensive, in John’s words- is a master immersion and a teacher training compressed into three days. In other words- buckle up and hold on. The process was not so much a dissection of the Spanda Karikas, as I did with Carlos, but more of how does this text help us share our vision of Anusara Yoga? John had his own translation and commentary book made up for us to follow along. We chose to focus on Spanda for this training but we still talk about all of them as we go along because they are qualities of something that is not just ever one thing. The reason pulsation, or Spanda, is so important is because the place between these pulses- the place of seemingly stillness- is the place of the middle. That place of the middle becomes a point, a “bindu”, and a gateway to the Absolute. It’s the pause at the top of the inhale and at the bottom of the exhale. Everything pulsates – down to the smallest atom- and pulsation can’t happen without two things in contrast. (Think sun/moon, light/dark, and open/close.) How can you know light unless you have ever experienced dark? The pulsation arises from the dark and goes to the highest pinnacle of light, the apex, and from there slowly fades back into the dark to wait for the next pulse. Spanda exists in the cycles of the day, the year in our own life. We are created, we reach the pinnacle of life and then we return to the dark. Contrast increases our knowledge; it doesn’t have to be a seemingly negative thing. Diversity helps us understand our own world better. So even in diversity there is a place of the middle and around it from that core line everything expands out into ever increasing complexity. Think of a tree- from a trunk, to the major branches, to the smaller branches, to the leaves and then finally the flowers- ever expanding complexity all from the middle. After the morning talk we went into a basic practice that worked on seemingly simple stuff but it was all down in a way to work with the Spanda, to start from the place of the middle. Things like aligning your feet and your hands rather than going all the way to skull loop right off the bat. It made me feel better about how I teach because I seem to talk every class about choosing to align and how we even set our feet and our hands in a way that is full of desire to know ourselves better- to know the One in us. Maybe it really is just that simple. After lunch and buying a new pair of yoga pants- left all my clean ones at home by mistake- we settled into an afternoon of deep discussion. John launched into the second stanza which mentions the shaktichakra- wheel of Shakti. John described the wheel as literally the wheel of time, of climbing apex and dissolution. So when the Absolute manifests, time is the result of the Absolute becoming aware of succession: the passing of time. Therefore everything manifested has a sequence-how does that happen? How out of pure consciousness which has no limit, no time, any sequence- comes this deep order of nature? As best as I understood it here it goes: The top five tattvas, or principles of existence, are Shiva, Shakti, Iccha Shakti, Jnana Shakti, and Kriya Shakti. Shiva is pure consciousness, it is like the sun, and Shakti is the creative power of that consciousness, it is like sunlight. They are the same but different aspects of the same. In the top five tattvas there is Iccha- the will of the consciousness. It is will that comes before action- we have an idea before we can create. Jnana is the knowing of that will and Kriya is the action- a spontaneous action that has no condition or expectations- it is action for the sheer delight if it. In with all these five tattvas is a fine “trembling”. So from this pure consciousness it the trembling that causes the Iccha to wilfully pulsate from fullness to contract part of itself- it creates the screen of prismatic crystal unto which and into which all the possibilities of diversity and colour then manifest. Shiva/Shakti loses nothing of itself in the process- it stays completely unaffected in the unmanifest. I have a great dissection of the Nataraja and his meanings but I think I will save that for a later blog. I’ll add pictures in the next few days! Yes- I am alive. I have been extremely busy lately and I have been putting my blog last on my to do list. I was supposed to be practicing this morning but I have a weird virus of some type that has left me weak and achy and so rather than sit on the couch I decided to sit at my computer. Lucky you. Part of my crazy schedule was flying back to back crazy so I could manage a week off work and secretly take my two kids to Maui. They thought their father had left to vacation without them- which he did on my insistence- to Haiku , Maui. 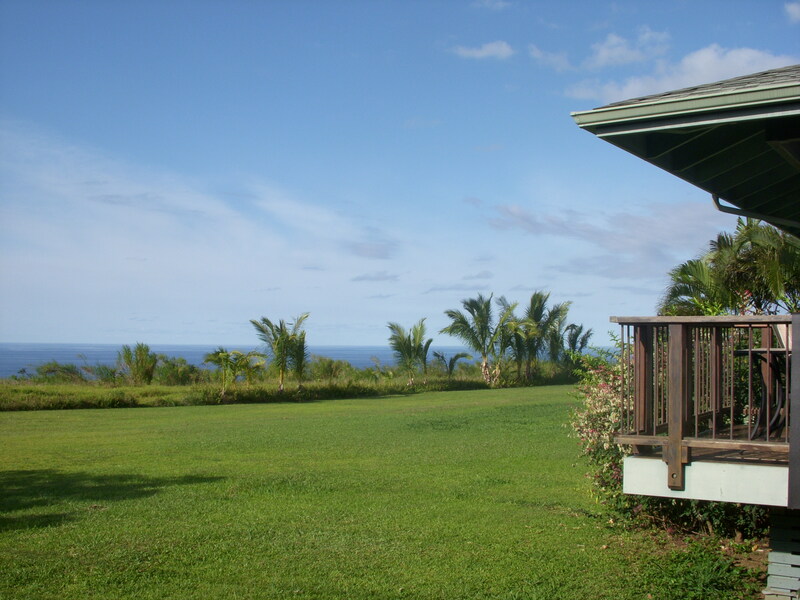 Haiku is located on the north side of the island on the road to Hana and it is a slice of heaven to our family. My husband practices Ashtanga with Nancy Gilgoff when he is there and I usually hang at the Studio Maui if I am practicing Anusara. Yes- we only take yoga vacations…. Because of my flying, we couldn’t take a two week holiday all together so I sent my husband without us. He thought he was going to be alone for two weeks but I spilled the beans to him- and swore him to secrecy- that I was going to surprise the kids and take them to join him during week number two. He was extremely pleased as he misses the kids when they even go for a sleepover! I secretly packed bags for weeks and surreptitiously snatched various vacation items from my unsuspecting children’s rooms. On D-Day ( departure day) I told them we had to drive their Grandma to the airport- which was true- and then we were going out for lunch after I stopped at my airport office. As I parked in the employee lot and got out I asked them if they still wanted to go for lunch. To which they responded with resounding choruses of “YES!! !” I said ” Well we can go for lunch,” I then dramatically pulled a blanket off the suitcases in the back of the truck, “ Or we could go to Maui?”. I think my son literally stopped breathing. My daughter lit up like a little sun and they both starred at the suitcases. “Mom!!! We are going on the plane? I think I am going to explode!” Words of joy out of a nine year old boy. 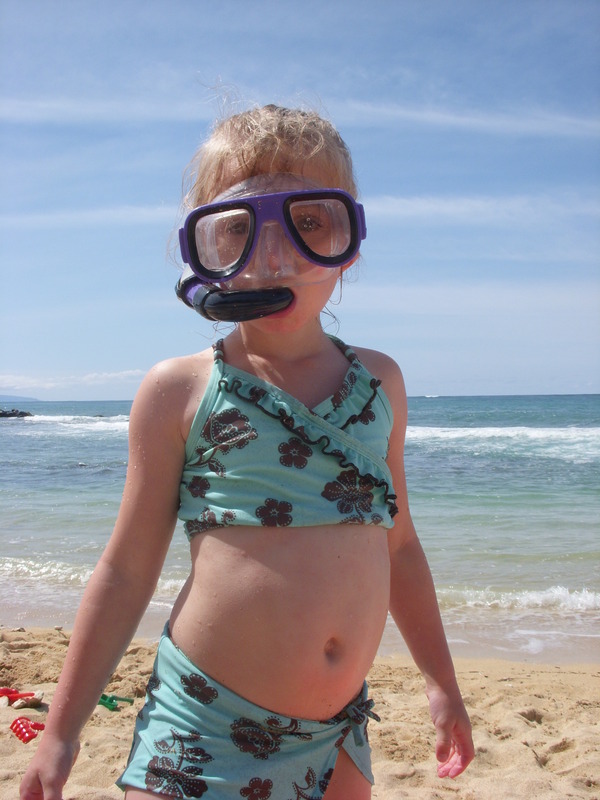 My daughter couldn’t believe I had everything- she kept asking me if I had her bathing suits. She is five and is going through a stage where she changes every five minutes and gives us a fashion show- her latest one being her swimsuits. In order to keep the secret I had to go out and buy two new ones for the suitcase! Over to the airport we went and I was so glad as I checked in that my husband carried a cell phone and that I did not keep the trip a surprise from him. Apparently you can’t take your kids on a plane out of the country if you are one parent…you need a letter from the other parent giving permission! Yipes! I made a call my husband who happened to be not far from a fax machine and voila- 30 minutes later we were at the boarding gate. After a lovely flight to Maui- my kids were so good on the plane- we arrived to a very happy husband and father. I was dissapointed to find out that I would not be doing much yoga with a teacher as Skeeter Tichnor was out of town teaching an immersion, but I made the most of self practice which consisted of many handstands in the playground with my kids. I don’t know if I will ever be able to kick up without a wall or a spot but I have to say I feel much more comfortable on my hands than I used to . There is a familiarity to handstand now that has come over the last few years and I can hold away from the wall now for a while. It really is such a playful and joyous thing to do! Chris managed a daily practice with Nancy which was great. There is lots of yoga on Maui no matter what your style and no matter where you are on the island: the other islands have lots to offer as well. Practicing on Maui always seems so effortless to me. There is something in the air there that is just conducive to practice. I feel like I can breathe more deeply there. I remember when I was in Maui for an Anusara Immersion with John Friend, he talked about how you could feel the island breathe: the island itself was alive with pulsation. One of the local teachers commented saying , “Polynesians call non-Hawaiians “Haole” -which actually means one who can’t breathe.” Yup- us white folk really don’t know how to breathe. We rarely breathe deep into our bellys and are breath is short and fast. When the breath slows, we slow, and therefore we get to enjoy the present moment that much more. 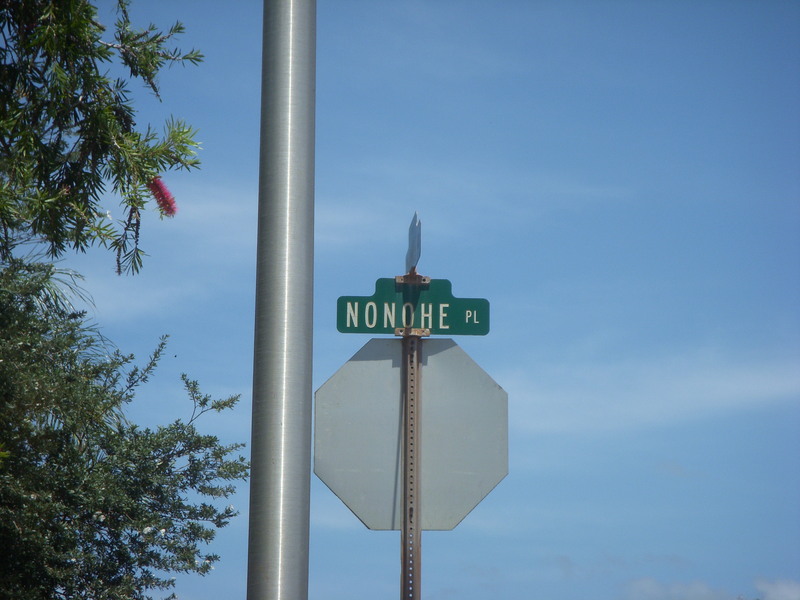 That’s how I feel on the North side of Maui. 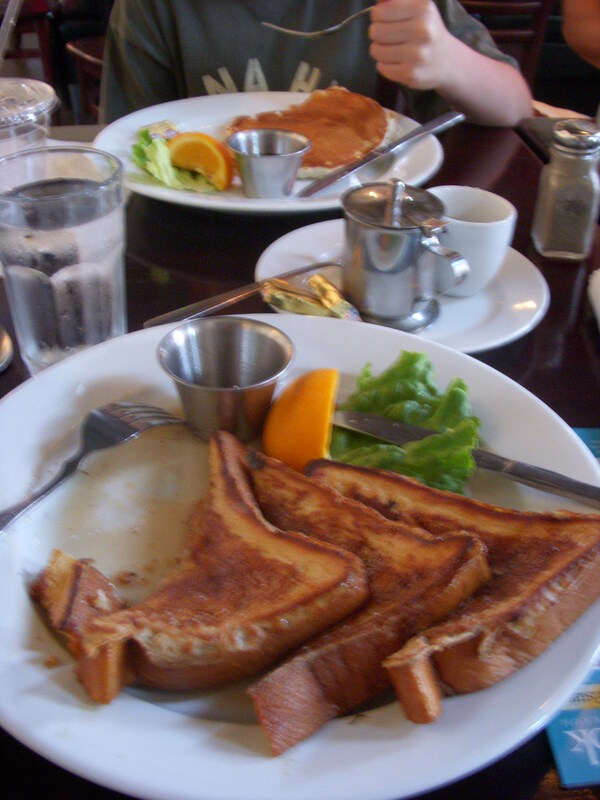 I wanted to tell you about some of our favorite places on the North side if you ever give Maui a visit. First of all is Max and Tracy’s place. 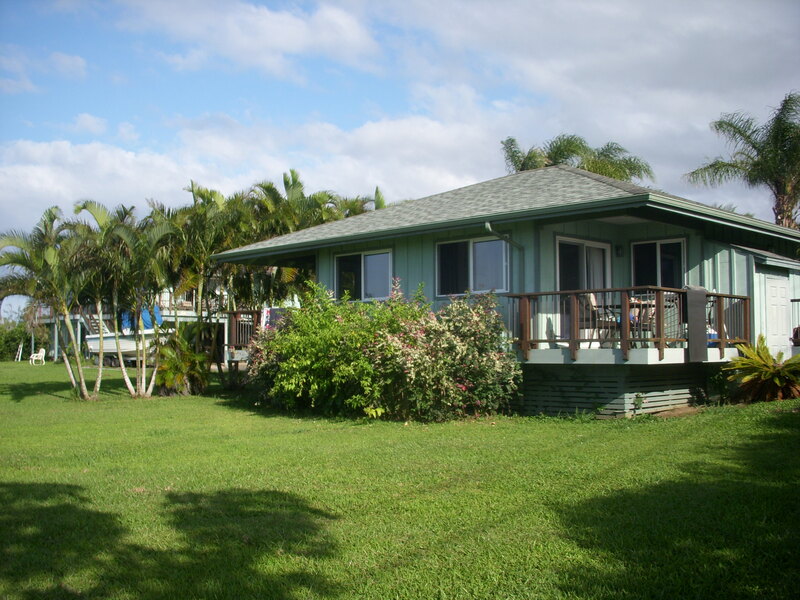 Our little studio cottage that is home on Maui is one of two studios you can rent year round. 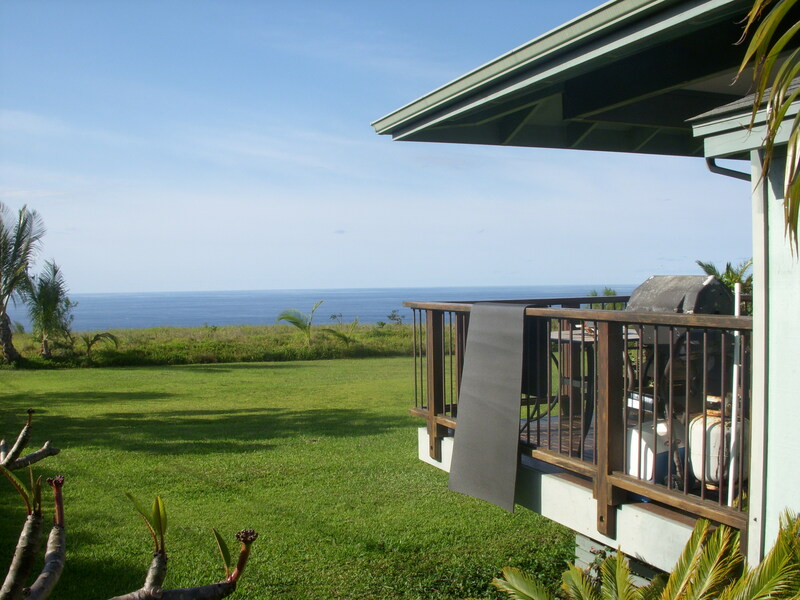 The property is beautiful with 180 degree view of the water. There is an abundance of fruit trees on the property and they always have a basket of what’s in season waiting for you when you arrive. Lychee was just about in season when we left but my son managed to find a few ripe ones to try. The avacados, apple bananas, mangos and oranges are some of my families favorites. You might have to compete with Buttercup, the golden lab, for ripe bananas. My kids call her a banana retriver and she is our rent a dog on Maui. 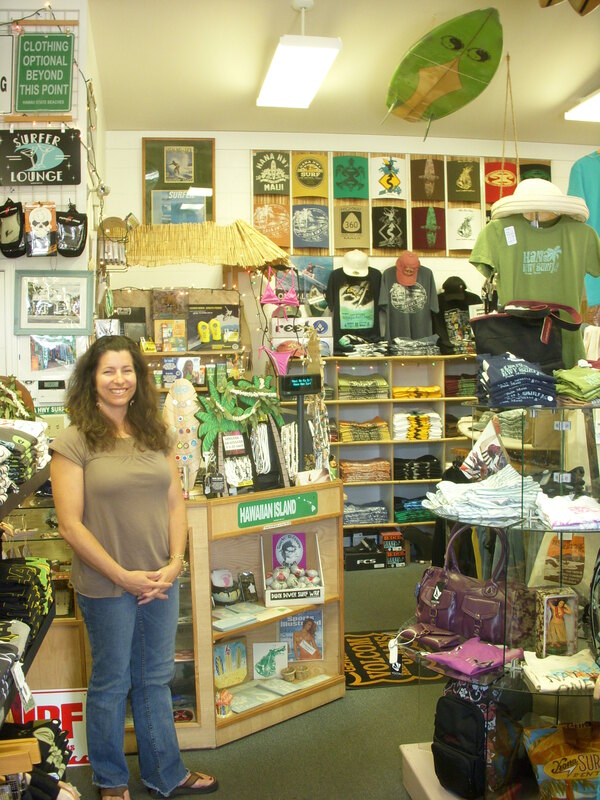 If you really want to get a feel for what it’s like to be a local check it out: ludwig@maui.net. 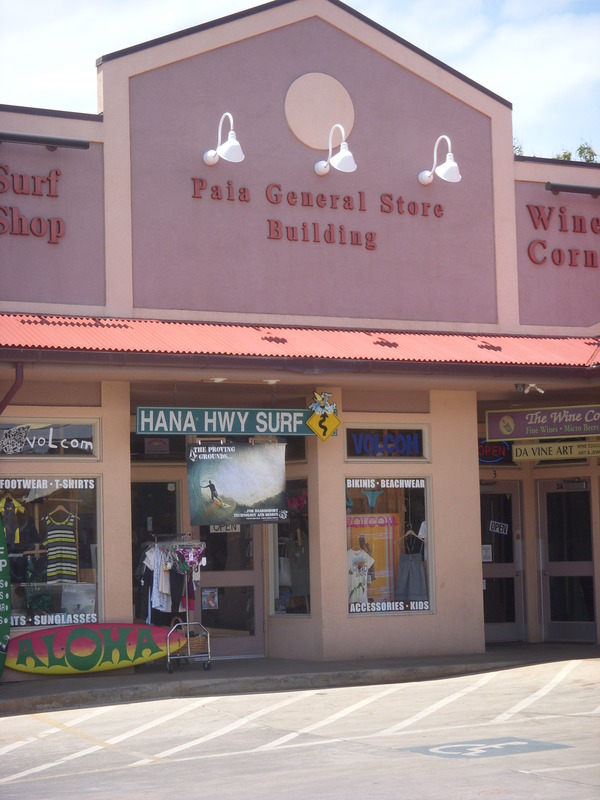 We do most of our shopping in Paia town which is down the road a few miles. 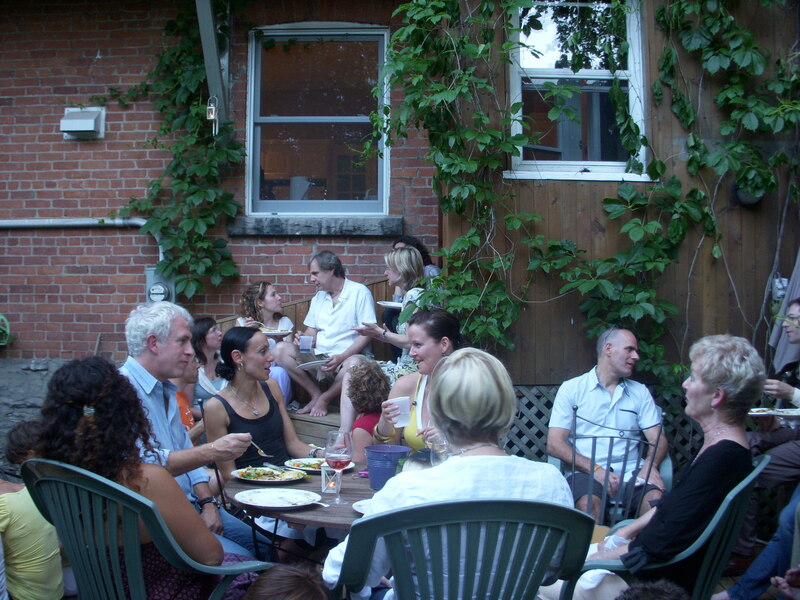 Mana Foods is a local legend and all your organic, health, specialty foods can be found there. I recommend buying the cotton shopping bag which doubles as a great beach bag/purse. Most of the saleable fruit from the property we stay at goes to Manna so they really help support the local farmers. Support them during your stay. 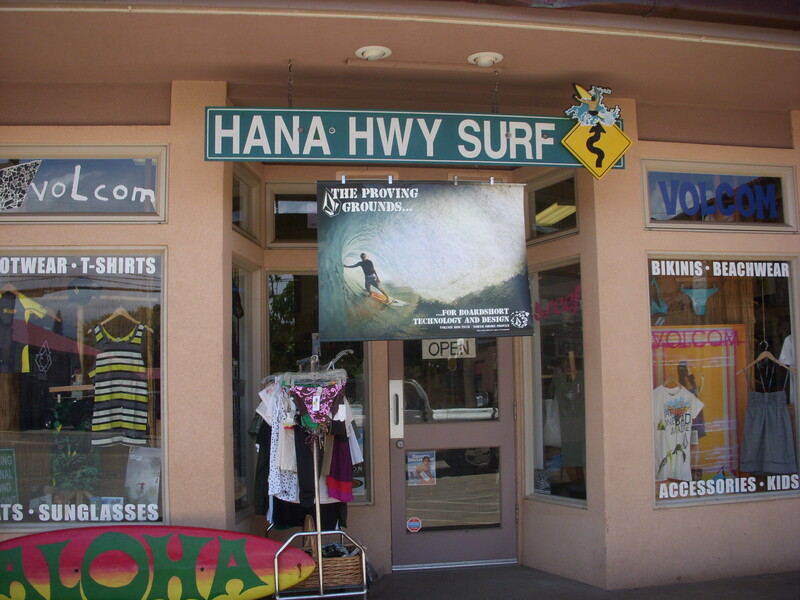 We always pick up a few shorts and T’s and sandals when we are in Maui and our favorite place by far to buy these things is the Hana Highway Surf . They carry all your basic beach needs and they have really great t-shirts with their logos on them. My husband and son love their hoodies. Jud and Kelly Lau, the husband and wife that own it are really welcoming and Uncle Squidy- the owners uncle and local surf legend- has wave reports for Maui at (808) 871-NALU ( 6258).His absolutely hilarious advertisment on local radio is what sent us searching for them many years ago. Swimming and beaches on the North side are limited. 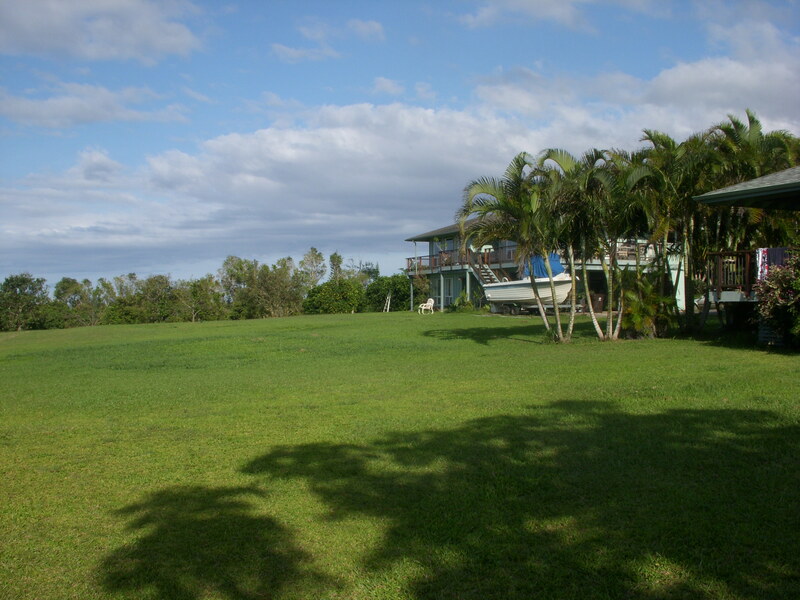 The far west side of Baldwin Beach is located close to the residential area of Spreklesville and contains a small lagoon- perfect for family swimming without the shore breaking waves. The locals call it baby beach. 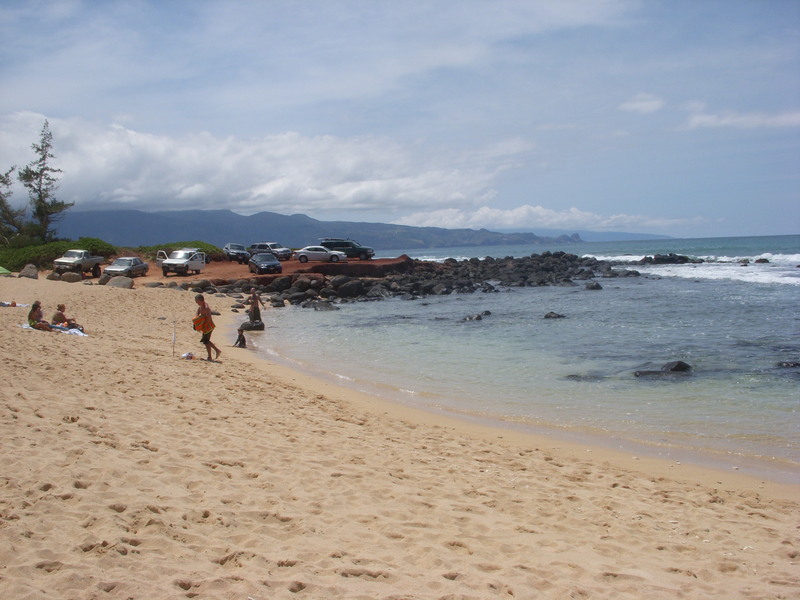 Of course famous Ho’okipa Beach is located on the North side just past Paia near the equally famous- and expensive- Mama’s Fish House. Hanging out at Ho’okipa during a good wind is a real North shore experience- some of the best windsurfers, kite surfers, and just plain old surfers are there all day for free entertainment. It really is amazing to see the talent and althleticism out in the water. If the weather is wet on the North side- which it often is- we suggest driving down into Makena area and checking out the beach in front of the Maui Prince Hotel. 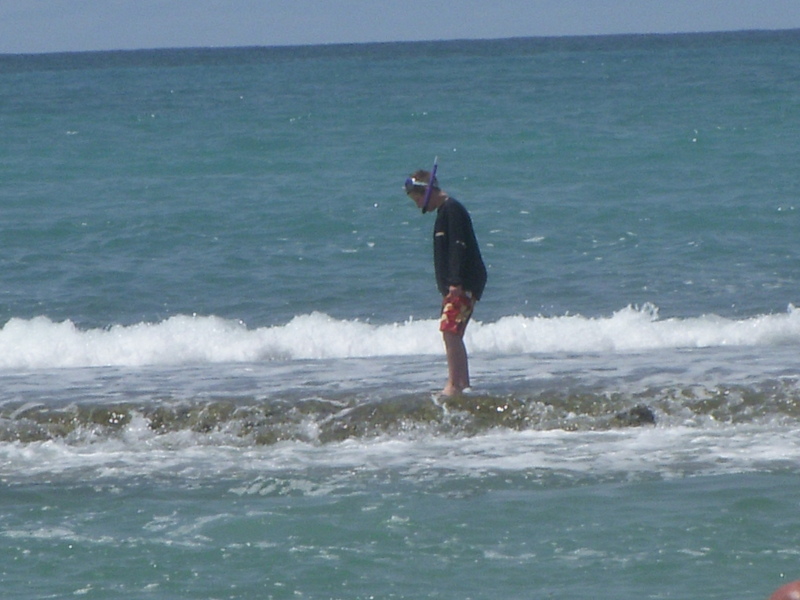 It is a public beach with washrooms and a shower and the waves are great for boogie boarding. We do not recommend swimming at Big Beach in Makena with children. The wave break is very high and very close to shore and in water no higher than your knees you could be picked up and dashed into the sand. People with broken bones are taken off the beach daily. The locals call Big Beach “ Killer Beach” for a reason. Having a yoga vacation on Maui dosen’t have to cost you a lot and it really is a fabulous place to practice. I am looking forward to going back to Maui in September to study with John Friend andRam Dass. Let’s hope I get accepted and if I do I promise to blog during the training!! 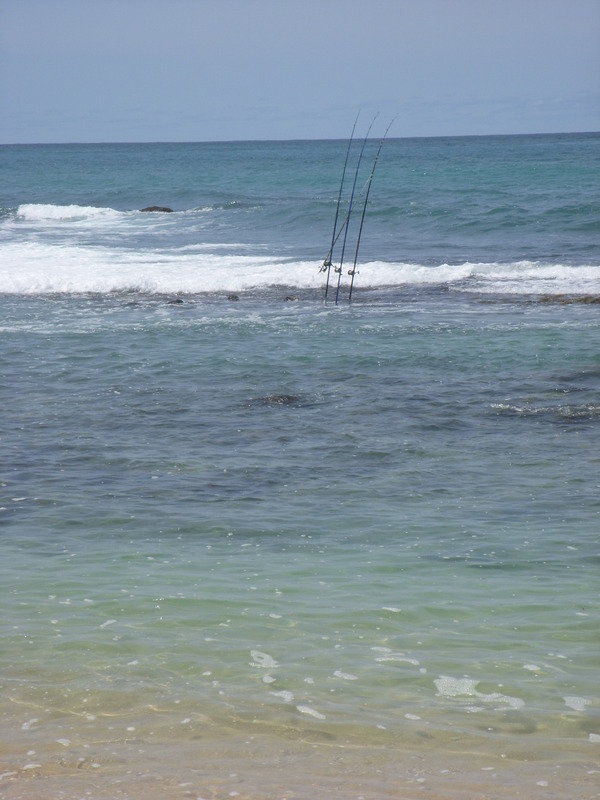 Local fishing at Baby beach….